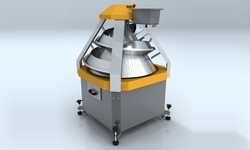 We are involved in providing a varied series of Dough Rounder. Our products are made under the management of dexterous experts in compliance with universal industry principles. 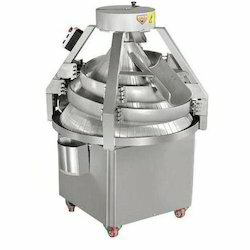 From our wide consignment, we are affianced in supplying Conical Dough Rounder. - Available Capacity: 1800 to 2700 Loves P/Hr. - Dividing dough evenly and rounding as easy. - Permanent lubrication to protect transmission. - Machine head can be tilted for easy cleaning of knives. - Easy adjustment for different dough weight.